Do you send it big? Do you want everyone to know that you're the sickest skier on the mountain? Look no further than the Powder7 Beanie. I'm a hat guy for sure, and what a better way to rep the best ski shop ever than wearing it on my head. Just look at that puffball. Wow. What else am I going to wear to work every day? 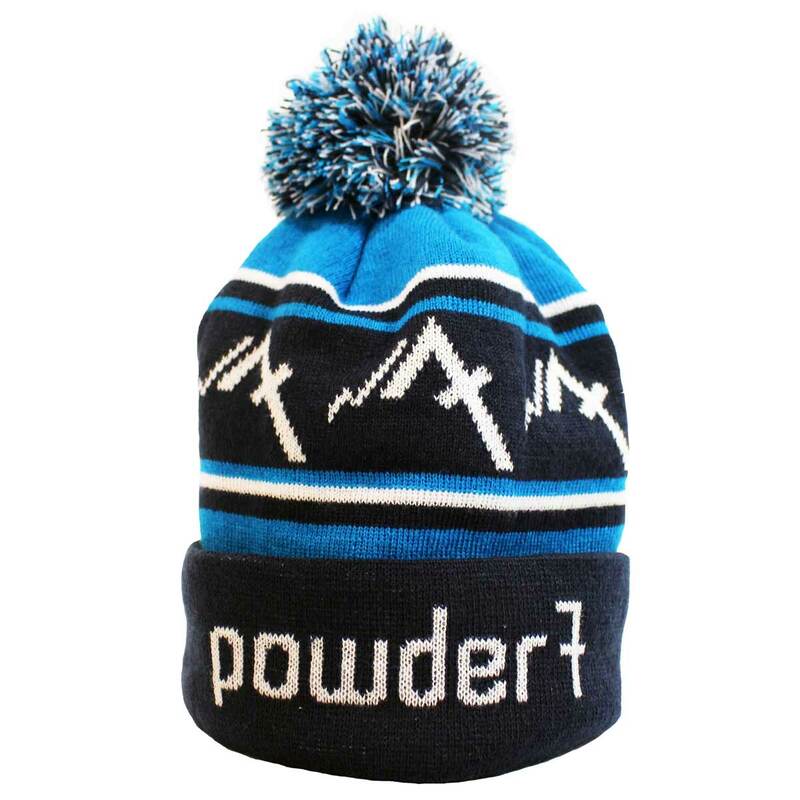 As the powder starts flying there is no better way to keep your head warm than the Powder7 Beanie! This knit cap keeps you warm from your powder chases to aprÃ¨s nights. With the Powder7 logo wrapping around this beanie there is no denying you will catch some looks from jealous shredders. Show your support for your local online ski shop with this must have winter addition.